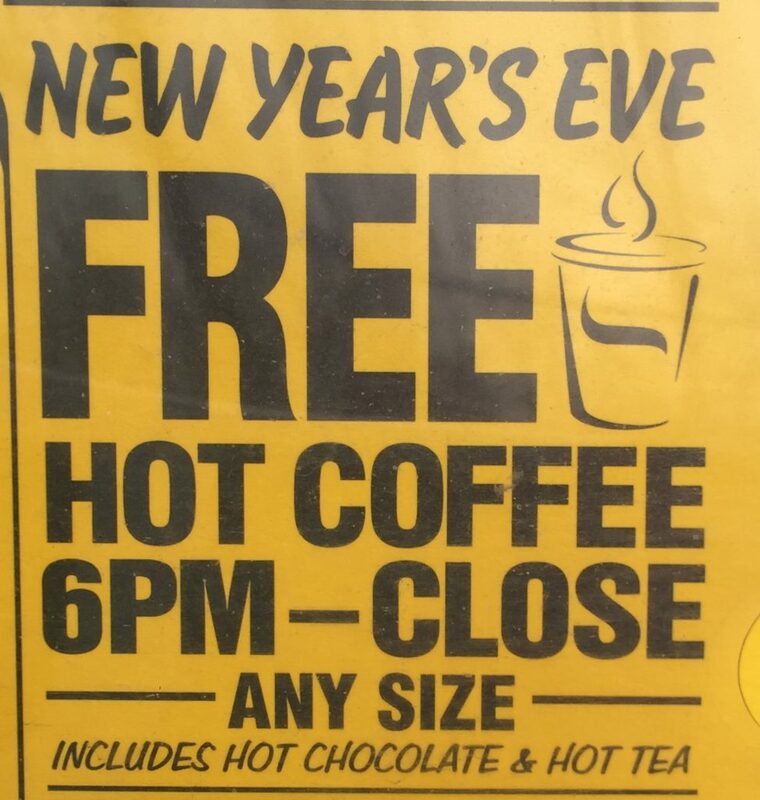 Stewart’s Shops is offering free coffee, hot chocolate and tea today (12/31) starting at 6 PM. Happy New Year! This entry was posted in Freebies and tagged freebie. Bookmark the permalink.